Well, folks, it’s history time and this week is the 360th anniversary of the founding of the Protectorate government in a unified Commonwealth Britain under Oliver Cromwell. “So what?” you may well ask given that a fair few years have passed since then. But I would argue it’s worth stopping to think about this very unusual period in British history and the echoes of it we hear today. 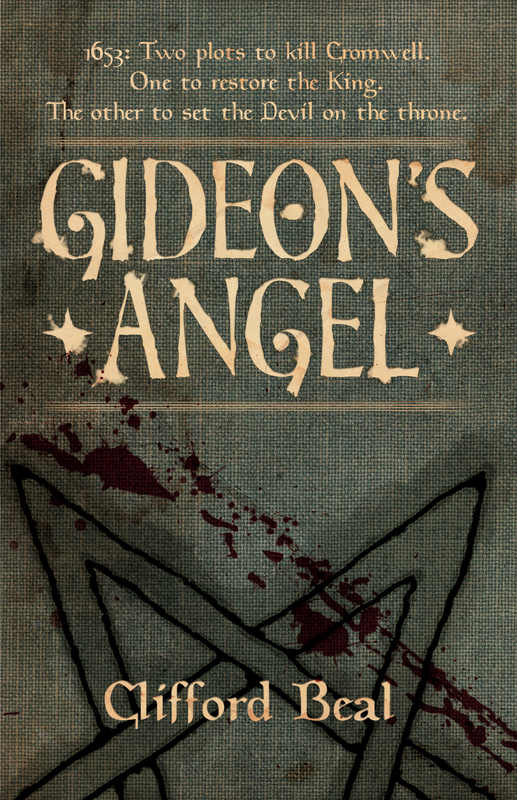 The action in my novel Gideon’s Angel takes place in the months leading up to Cromwell’s effective “kingship” in December 1653. The book revolves around two plots to assassinate him before the Protectorate is established, one Royalist and one infernal. And amongst all the action and swashbuckling, incantations and demon-summoning, there are some interesting themes about who is good and who is bad. I paint Cromwell as a sympathetic figure, a man trying to square an impossible political circle in the ashes of a horrific civil war. He polarized opinion in his own time and continues to do so in ours. And he has received rather a bad rap in our collective memory not least for the brutality of the campaign he waged to subdue Ireland. Yet the Protectorate that he and the few men in his inner circle forged, was a system of government way ahead of its time and one that later influenced the men of the Enlightenment both in Europe and North America. We in the UK are still arguing about the need for a written constitution today, and the need for a reformed (or abolished) House of Lords, or a state church. The Protectorate only lasted a few years and much of what it established was undone in the Stuart Restoration. And it disappointed those true republicans who thought that it was a monarchy in all but name (It was briefly debated that Cromwell ought to become King Oliver but he chose “Lord Protector” instead). But it was a novel experiment in modern government and for all its faults, not a bad effort compared to what had gone before or even what came after. Not everyone will agree with that sentiment but Cromwell and the Protectorate are part and parcel of our history and the ripples from that political experiment can still be felt. If you don’t know it already, head on over to MyBookishWays, a very entertaining blog site that covers fantasy, suspense and horror fiction. I’ve just done a guest post for Kristin, the website’s very capable editor and moderator,which talks about how authors of historical fiction can’t ignore their world-building skills any more than those who craft epic fantasy. Do the old sword & sorcery pulp epics still thrill? Sowers back in 1975 when I bought the Zebra special edition paperback with original illustrations. Sold it for next to nothing in the early 90s but for some reason the book popped into my head when I was trawling for historical fiction. My old Zebra edition now sells on amazon for £25 so I guess I’m not the most astute investor. Now I do plan to reread Sowers for the first time in 30 years but I’m a little reticent about it. Will it still thrill me the way my failing neurons seem to make me remember I was thrilled back in 1975? Sowers of the Thunder, a collection of four unrelated stories, is a departure from the high fantasy worlds that R.E. Howard created and is best remembered for. Of course, he dipped into westerns and science fiction as well, but these are actually historical high-adventure tales. They’re set mainly in the Middle East and Asia in the Middle Ages although the last, Shadow of the Vulture, is actually set at the siege of Vienna in the 16th century. Pity the marketeers at Sphere Books didn’t actually read the book as the cover refers to: “Swordplay and slaughter in the most barbarically splendid fantasy kingdoms ever”. I’m definitely not the same reader I was all those years ago. And I’ll probably notice now how creaky the plots are, how purple the prose, and how hammy the dialogue (Laurence Olivier might have had a great time with Howard’s lines). Or maybe it will indeed stand the test of time and, given that the stories were written in the 1930s, I’ll think they hold up well. Whatever the case, the most important thing for me will be that Sowers, and the other works of Howard, fired my imagination and my will to write creatively, and set me dreaming about past worlds. It might just be an enjoyable trip down memory lane. Challenging readers or just annoying them? I’ve got a confession to make: I started Wolf Hall when it first appeared in paperback but gave up about 200 pages in. I had high hopes that I’d like it since historical fiction is near and dear to my heart but I put it down and walked away. At the time, I found it irritating in the extreme. It’s set in an incredible period of English history with colourful characters and bags of intrigue but…written in the present tense. I did try and adjust to this, as well as to the complicated syntax and convoluted prose. In the end, I admitted defeat, miffed with Hilary Mantel and myself. Now she’s scored another hit with a record-breaking second Man Booker Prize for the sequel, Bring Up the Bodies. It’s got me thinking again about writing and the implicit contract between authors and their readers. Rather Marmite-like, people are polarised by these books. Today I read an exchange in the Daily Telegraph comments section between two people. The first criticized BUtB for pretty much the same reasons I did above with Wolf Hall. The other person commented: “So how many books have you written?” This reaction misses the point. A reader has every right to criticise a work they’ve read whether they themselves are published or not. Mantel wrote in the present tense as a device to bridge the time gap and give a sense of immediacy to events several lifetimes past (I assume). Somehow helping the reader to get inside the head of the protagonist, Thomas Cromwell. And frankly, that is just going to antagonize some readers. Present tense for writing historical fiction has always been frowned on—even considered amateurish for those who have tried. Until Hilary succeeded in it despite the odds. Difficult prose for its own sake shows a disregard for the reader. But Mantel’s books (and they are a challenge to readers) are rich in texture, intricately composed, cranky but ultimately beautifully written. And they show immense research of the time period: language, social mores, tastes, smells, sound and vision. It’s probably the closest any of us will actually get to time travel. Every book isn’t necessarily for everyone. But any work of historical fiction that succeeds like these books have done, deserves to be feted. And given a second chance by those who were frustrated by its challenge. So I’m going to start fresh with Wolf Hall again. I was probably in a bad mood when I first tried reading it anyway.